If you liked this list, please explore some of my other articles about children's books, early childhood topics, and starting a story time program. 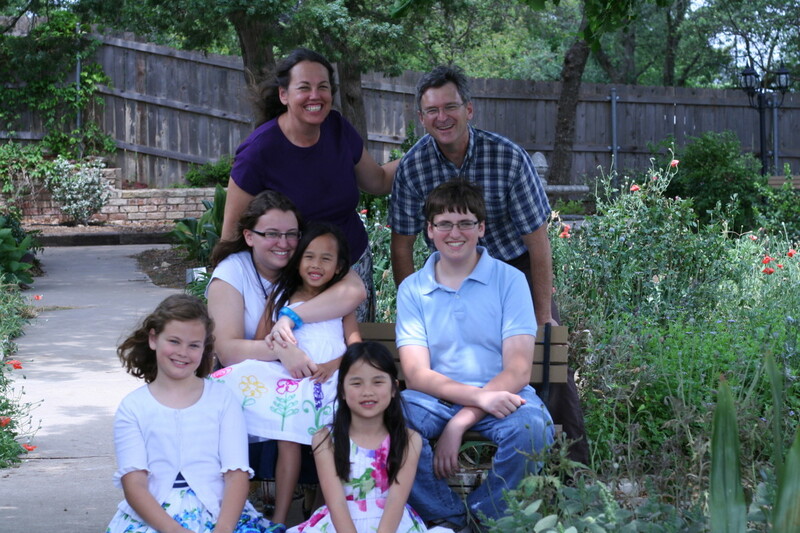 Several years ago as a new mom I wanted to establish some memorable Christmas traditions with my young and growing family. I wanted Christmas to feel special, but I also wanted it to stay focused on the values that would make the Christmas holiday feel less like a bow to the gods of commercialism and more of a celebration of Christ's birth. For my family, this meant a number of things, including a Christmas book a day. Over the years my collection of beautifully-illustrated children's stories for Christmas has grown to include many wonderful titles in both the secular and Christian religious categories. My list includes a combination of both. The Christian Books are designated with a † sign to help those who wish to distinguish between the two. Children's books published for Christmas are usually something special. Publishers know that classics like the Littlest Angel by Charles Tazewell will be read over and over, and that new books published for Christmas will probably remain in a family's Christmas collection over time. Over the years, I have found that many of these beautifully illustrated children's picture books make an excellent family gift. I have written full reviews of many of the books in my list. Articles that include a review include a link to the title. I hope you enjoy these selections as you begin your own Christmas picture book tradition, or use these selections as Christmas gift book ideas for your own family, grandparents, or family gift exchanges. † The Littlest Angel by Charles Tazewell should be in every family's Christmas collection. 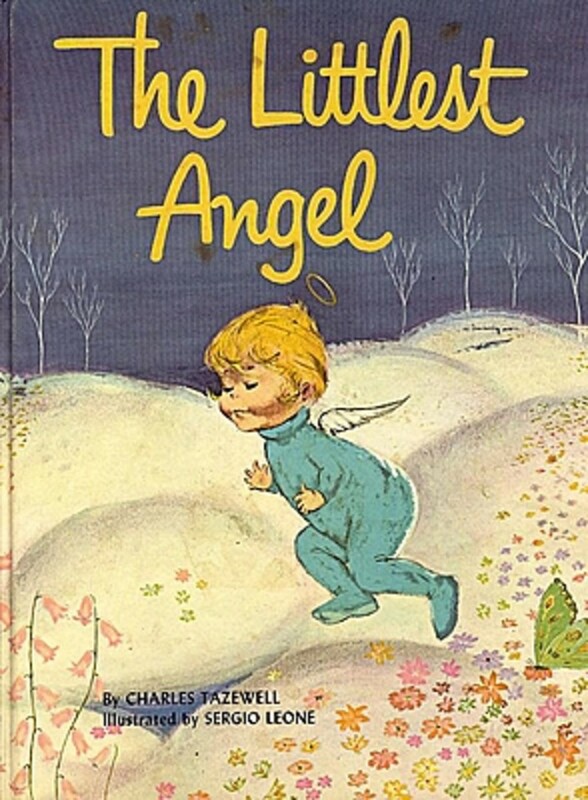 This book has been in continuous publication since 1946, and is the story of a young boy angel who doesn't quite fit in the Heavenly realm, and his treasured gift to the Christ child. Please read my review of this book to see a sampling of the many different illustrated versions of this story. 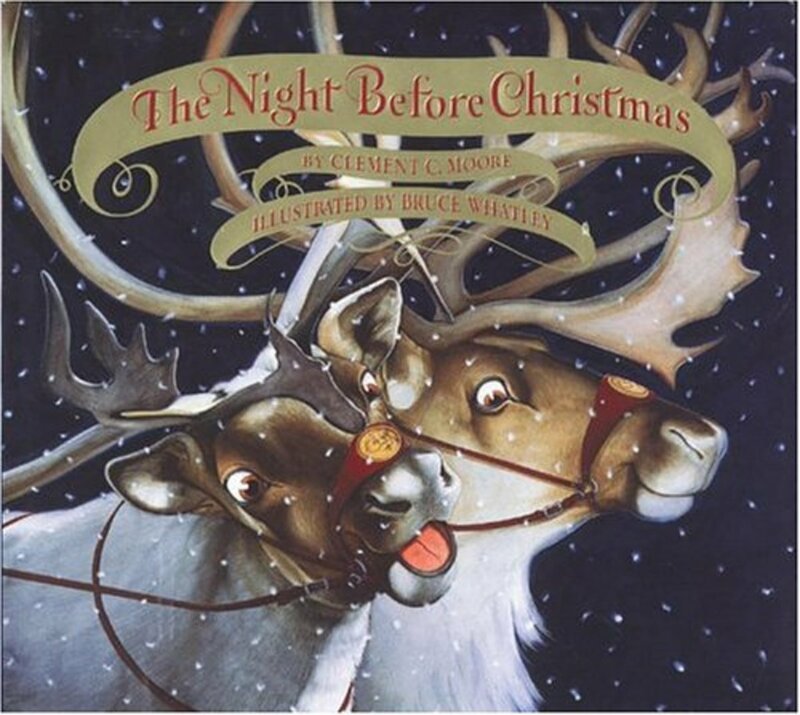 The Night Before Christmas is the alternate title to the famous and often-parodied poem called "A Visit From Saint Nicholas" by Clement C. Moore during the 19th century. The poem begins "'Twas the night before Christmas when all through the house..." This poem can be found in several lovely children's book versions with illustrations fitting the famous plot of the poem. This poem has had such a lasting influence on the American experience of the celebration of Christmas that it seems almost criminal to keep this book out of your Christmas Holiday library. Once you have in your possession an original copy of the poem, you may want to explore one of the over 1000 parodies of the poem. I personally like A Cajun Night Before Christmas. The Grinch Who Stole Christmas by Dr. Seuss is a well-loved story by the zany and often offbeat author and artist. The Who's in Whoville are obsessed with Christmas and all of its baubles. The miserly Grinch and his skinny little dog decide to steal the Whoville presents and decorations. Ironically dressed as Santa, going from house to house, the Grinch STEALS the presents from all of the Who families, but is caught in the act by Little Cindy Lu Who. This story has a joyous ending, and the Grinch learns that Christmas isn't really about consumerism after all. I have always been amazed that an author who wrote stories about breaking and entering could be so popular, and I find this side of him a little disturbing. The Cat in the Hat is another one of his famous home invaders. Nonetheless, this book is in the "so well-loved it needs no introduction, really" category. So I'll move on to the next book. 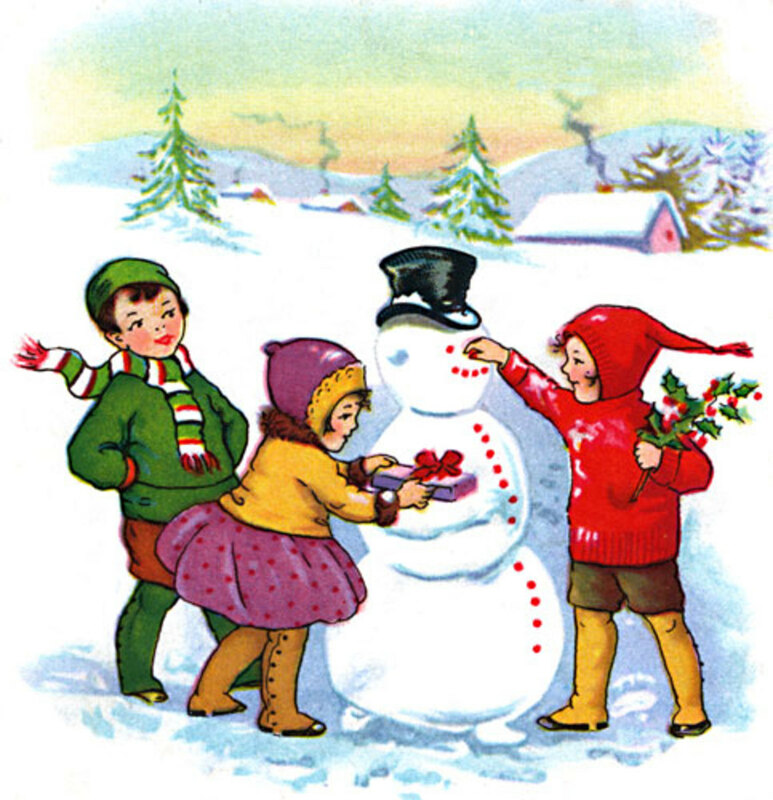 Frosty the Snowman is a book adaptation of the popular Christmas carol that originated in the 1950s. 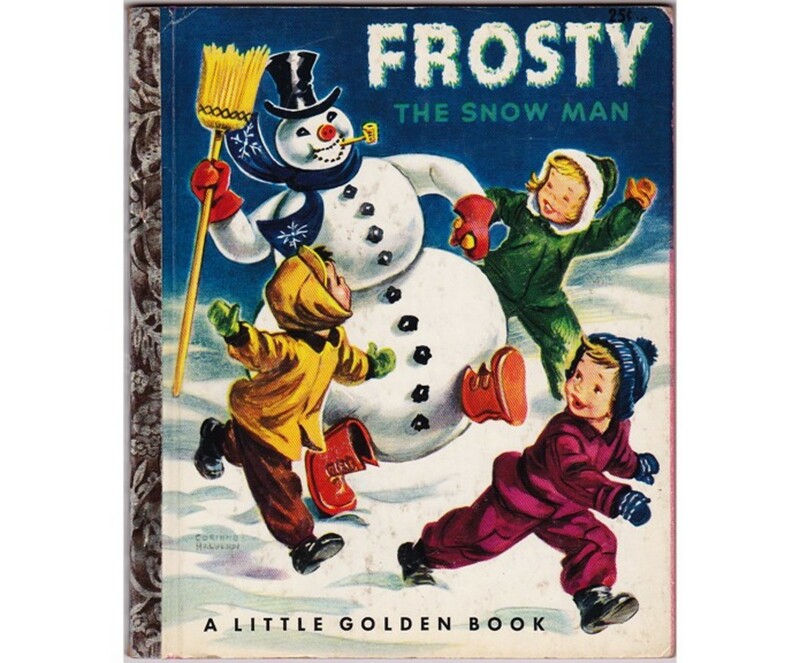 The version I own is a Little Golden Book, and shows Frosty with cherubic 1950s children smiling and having a cheerful adventure playing with Frosty, until he melts away. My own children enjoy this book, particularly because they enjoy singing the song, but the adaptation doesn't follow the song lyrics exactly. Still it is a charming mid-twentieth century addition to your Christmas picture book collection. 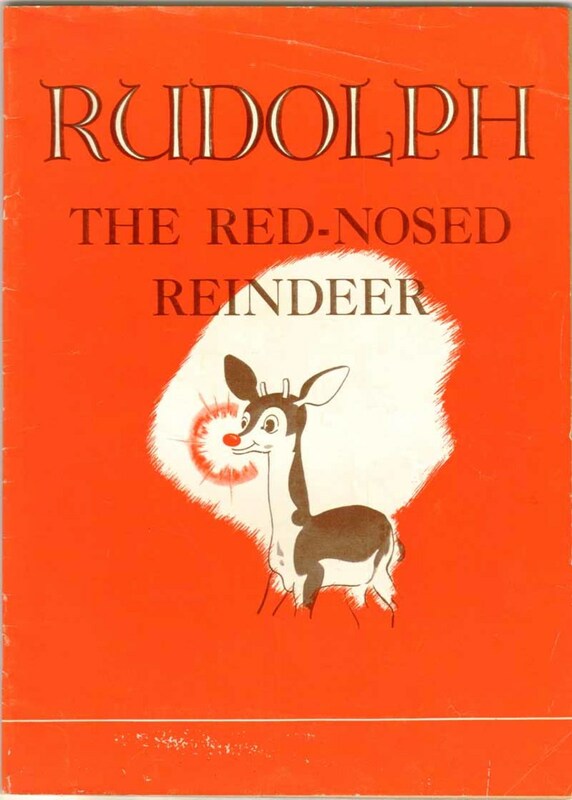 Rudolph the Red-Nosed Reindeer is an out-of-print book published by Montgomery Ward (a department store.) 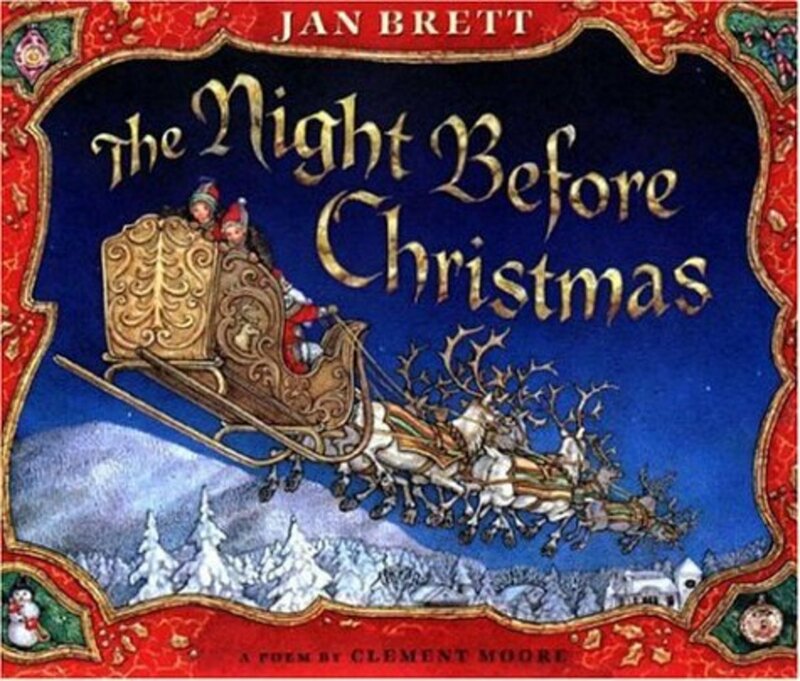 This story closely follows the lyrics of the popular Christmas song. If you can’t get your hands on a copy of this book, others by different publishers are also available. 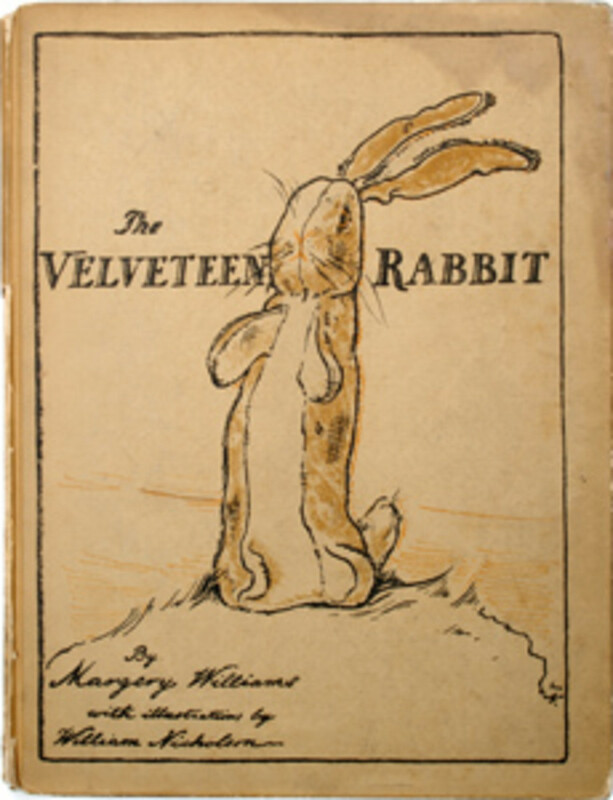 † The Velveteen Rabbit subtitled How Toys Become Real by Margery Williams. This book about a special toy who has to be thrown away after a young boy’s protracted illness will resonate at Christmastime, because it a sweet and touching tale about the magic of toys, especially those ones that young children form special love attachments to. From a Christian standpoint, this book alludes to the Resurrection and is therefore an appropriate Easter selection, too. 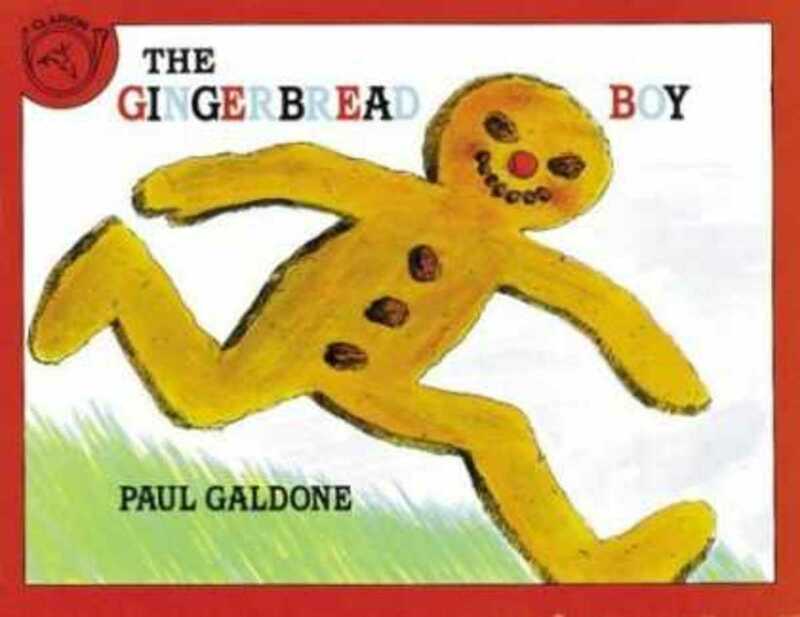 The Gingerbread Boy by Paul Galdone. 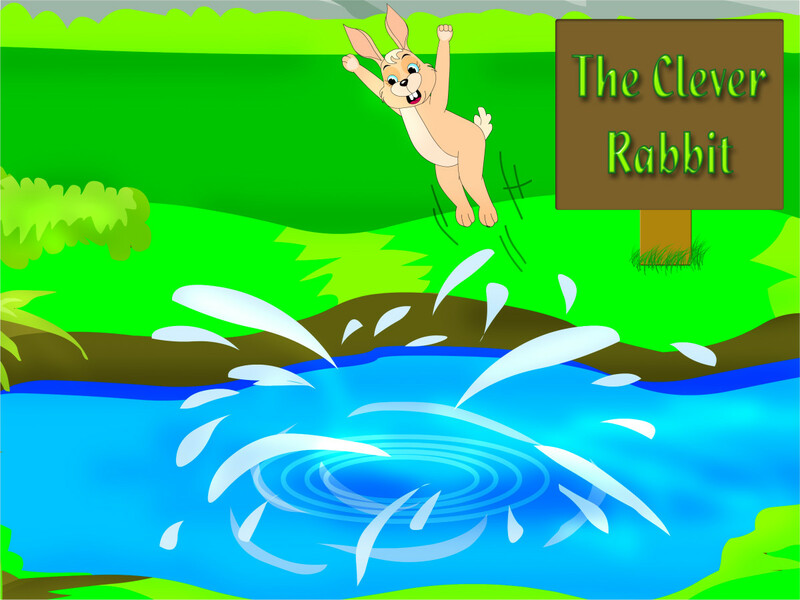 A retelling of the traditional folktale about a runaway cookie who gets into all kinds of mischief until a clever fox outsmarts him and eats him up after helping him cross a river. Click on the title to read my review. Some of my favorite Christmas children's books tell about a character or family who either makes a personal sacrifice or gives a service or gift of themselves that embodies the Spirit of Christmas. I personally love to read these uplifting stories, even when the Christmas season is over. Admittedly, a few of them are a bit sentimental and sappy, but they are all heartwarming stories that will help invite the Christmas Spirit into your home. 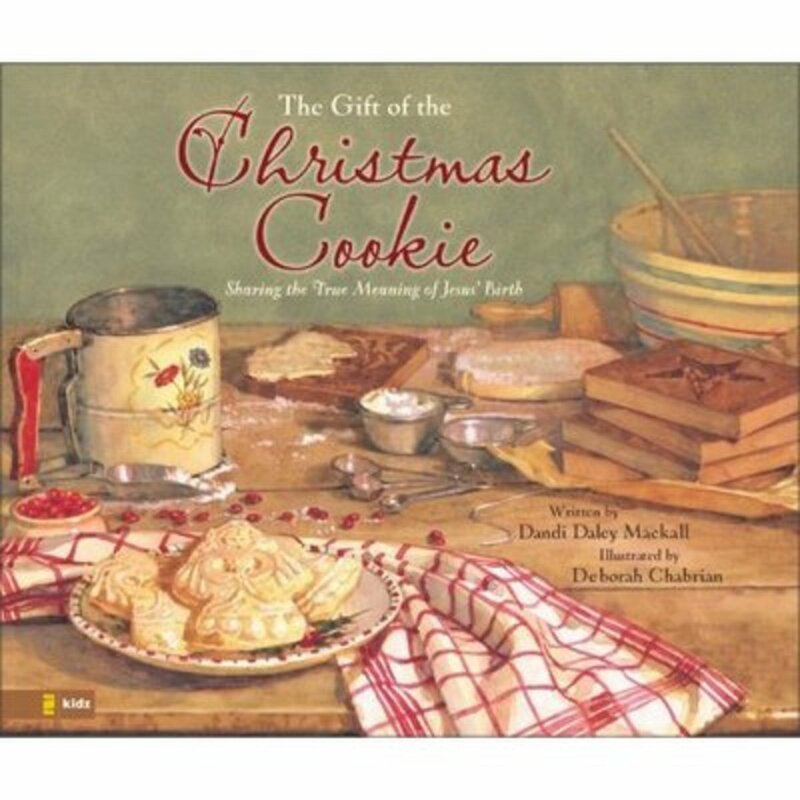 †The Gift of the Christmas Cookie by Dandi Daley Mackall is a beautiful story about a young boy and his mother who are separated from their father during the Christmas season. Set during the Great Depression, the dreary snow-scape of the young boy's neighborhood contrasts with the warmth of his mother's kitchen. Both the boy and his mother wish with all their hearts that they could be reunited with the beloved father during the Christmas season, who is working out of state. This story culminates in an act of service that reminds the boy and his mother that giving to others can be a soothing balm when our own wishes, however well-deserved, aren't fulfilled. Please click on the title of this book to read my full review. 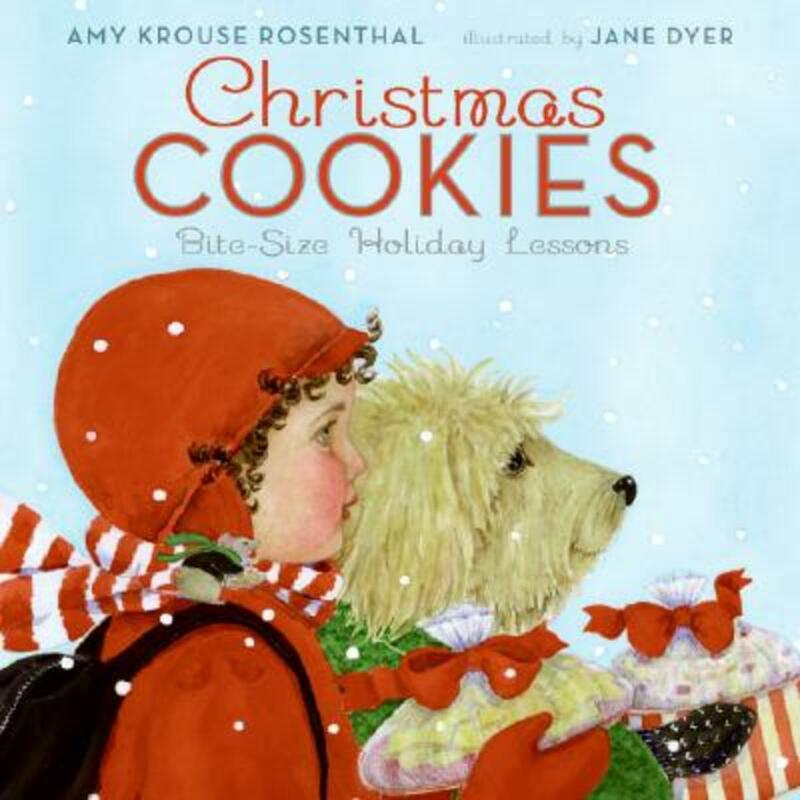 Christmas Cookies Bite-Sized Holiday Lessons by Amy Krouse Rosenthall and Jane Dyer is part of a series of beautifully-illustrated books that depict virtues such as generosity, courtesy, and charity through a simple story about a child who makes cookies and shares them with her family and friends. 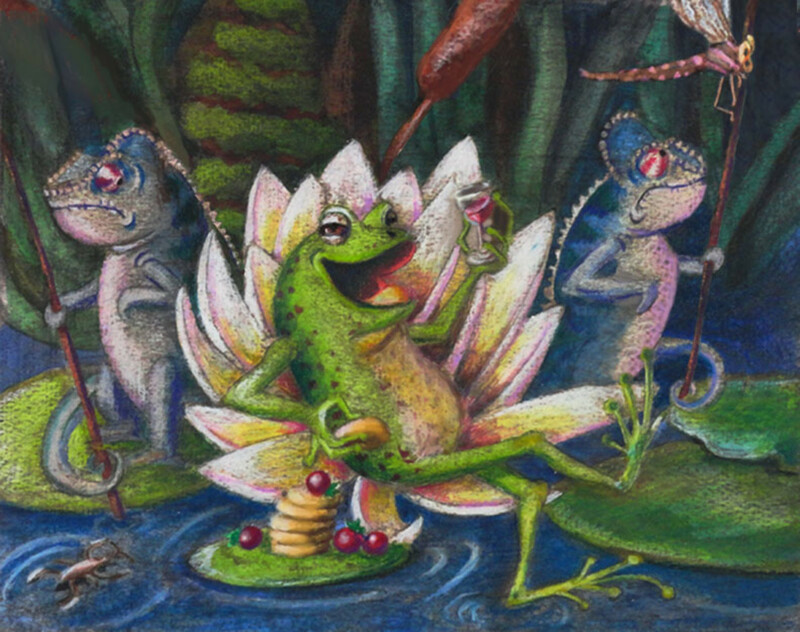 This book blends fantasy elements with realistic illustrations to depict culturally diverse neighbors sharing food around a family's dinner table. Please click on the title of this book to read my full review. King of Kings by Susan Hill is one of my all-time favorite Christmas stories. This story deals with themes of aging and loneliness in a sensitive, subtle, and moving way. This book is by a British author who is better known for her novels for adult readers, and as far as I know, is her only foray into writing for children. In this story, a lonely widower hears the mewling cries of an abandoned newborn near at the steps of a church one cold Christmas Eve. He saves the abandoned infant from freezing to death by taking the baby to a nearby hospital, where he watches in awe and wonder as the baby is swaddled and nursed by the hospital staff. Mr. Heggarty and his bandy-legged dog Jack-O are unlikely characters to find in a Christmas story, but this book is subtle and sweet. 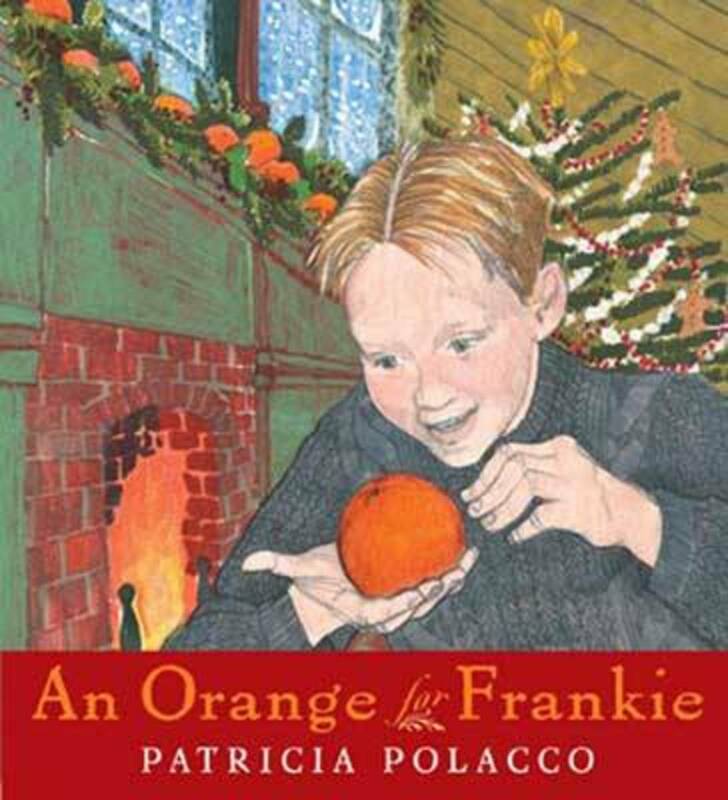 An Orange For Frankie written and illustrated by Patricia Polacco is a warm tale of family togetherness set in a turn-of-the-century farmhouse in Lansing, Michigan. This story has an episodic quality and is quite lengthy, but it is based on the author's family stories and is delightful to read. It kept my four-year-old son's attention, even though it is quite long. I have written a full length review of this story which you can read by clicking on the title. 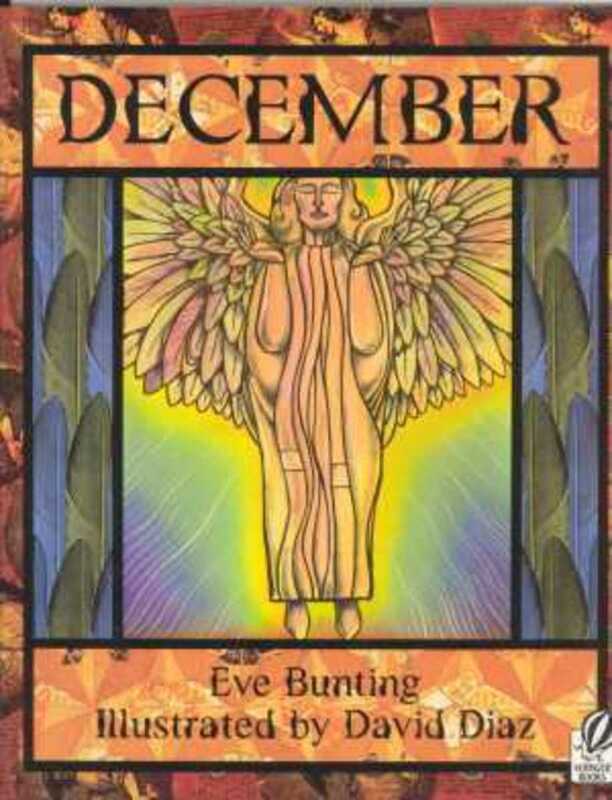 December by Eve Bunting is a tale of a homeless child's experience sharing her and her mother's makeshift shelter with a mysterious visitor who could be an angel, or may just be another homeless person. This story is tragically sad and depicts a young girl and her mother in grave circumstances, but also portrays the characters' generosity in a deeply moving way, since what they have to give is very little indeed. This book is probably for older children who can grasp the extreme heartwrenching levels of poverty portrayed by the author but it gives much food for thought in an age of Christmas commercialism. † The Tale of Three Trees is based on a folktale and is actually technically an Easter book. I am including it here because it is an excellent addition to a Christmas picture book collection, particularly for Christian families who want to get back to the religious basics of the Christmas holiday. 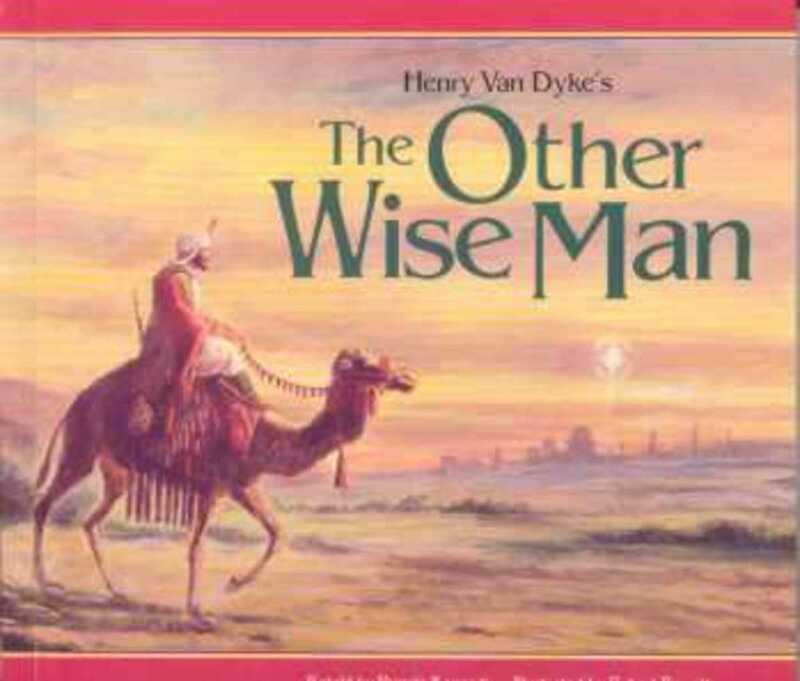 † The Other Wise Man by Henry Van Dyke This lengthy story has a loyal following among Christian readers. This story is the fictional accounting of a fourth wise man who followed after the first three wise men with valuable gifts of jewels for the newly-born Christ-child. But unlike the first three wise men, the fourth wise man is faced with delay after delay, and in the process gives all that he has, even Christ’s gift, to serve his fellow man. At the end of this long story, the fourth wise man finally meets his Maker, and bemoans the fact that he has no jewels to give. But he finds joy with God because he has lived life as Christ would have him: in service to others. This story was originally published in 1895 so it should belong in the oldies but goodies category, but since it is less well known, I've included it here instead. There is another picture book on the market called the Fourth Wise Man by Susan Summers. This is an abridgement (shortened version) of the story by Henry Van Dyke. Even though it is an abridgement, it is one of the longest picture books in my list. Yoon and the Christmas Mitten by Helen Recorvitz. This story about a young Korean immigrant to the United States is an important book to add to your Christmas collection. Little Yoon desperately wants to fit in with the other American girls who are celebrating Christmas. This story tells about how she and her newly-arrived immigrant parents adjust to the new American Christmas holiday, and how they adapt a celebration of the new holiday to their family. This book offers an important look at a non-traditional American family and the ways they adapt to one of the most popular American holidays. 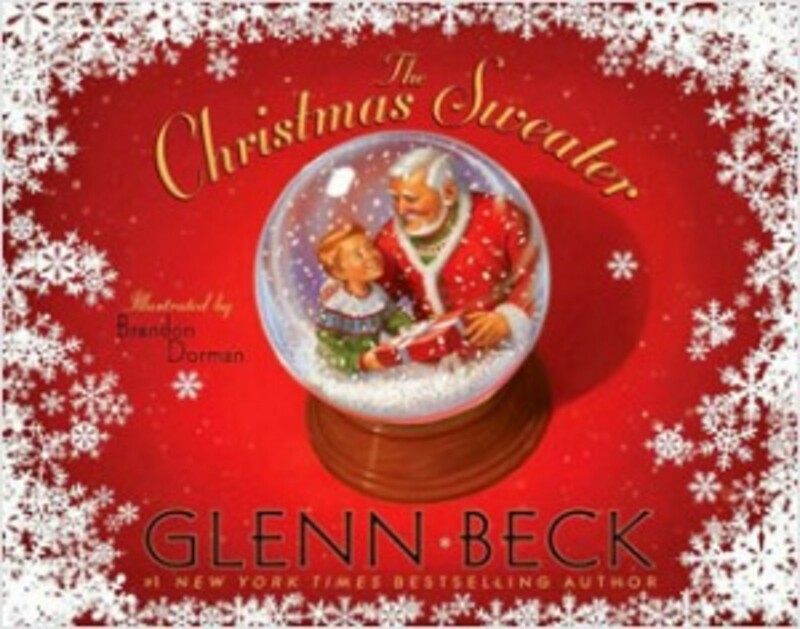 The Christmas Sweater by Glenn Beck is a new children’s picture book by popular radio personality about a young boy’s Christmas expectation about receiving a shiny new bicycle. His grandfather wisely suggests that perhaps he won’t be receiving a bicycle this Christmas, but instead he will receive a special red Christmas sweater, made for him by his mother. This Christmas sweater embodies his parents’ gifts of time with him, and the boy imagines all of the wonderful things he will do with his parents while wearing the sweater. The real message of this story is for parents, in my opinion. The message is loud and clear: children need the gift of time with their families, not things. The Gift of the Magii by the famous short story writer, O'Henry, is a Christnas holiday classic. This story about a young newlywed couple sacrificing their most beloved possessions to give a wonderful Christmas gift to their beloved is a must-have addition to your Christmas short story collection. This short story wasn't originally published for children, but it is still appropriate to share in a family setting. An iillustrated picture book version is available for sale. 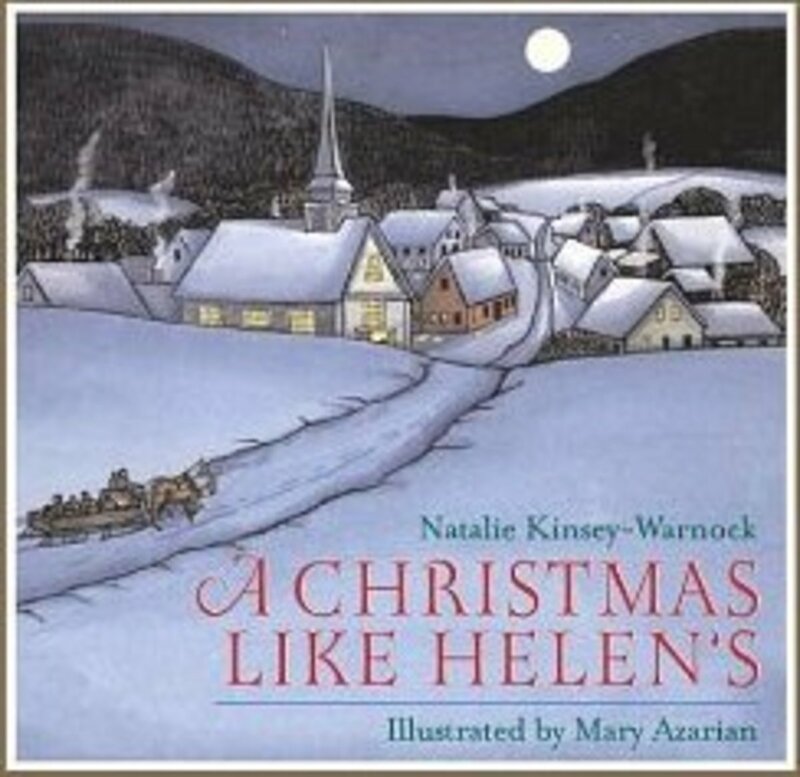 A Christmas Like Helen's by Natalie Kinsey-Warnock and illustrated by Mary Azarian has the warmth and nostalgic magic of An Orange for Frankie, but the beautiful woodcut and watercolor illustrations in combination with the high-quality writing make this a book selection you will want to buy and read over and over, even if you live in Arizona and only dream of a white Christmas. Though not everyone has ancestors who grew up on a New England farm, the sense of family that pervades this story is well-worth the regional nature of the story, and the imagery of warmth against the backdrop of a New England winter is charming. 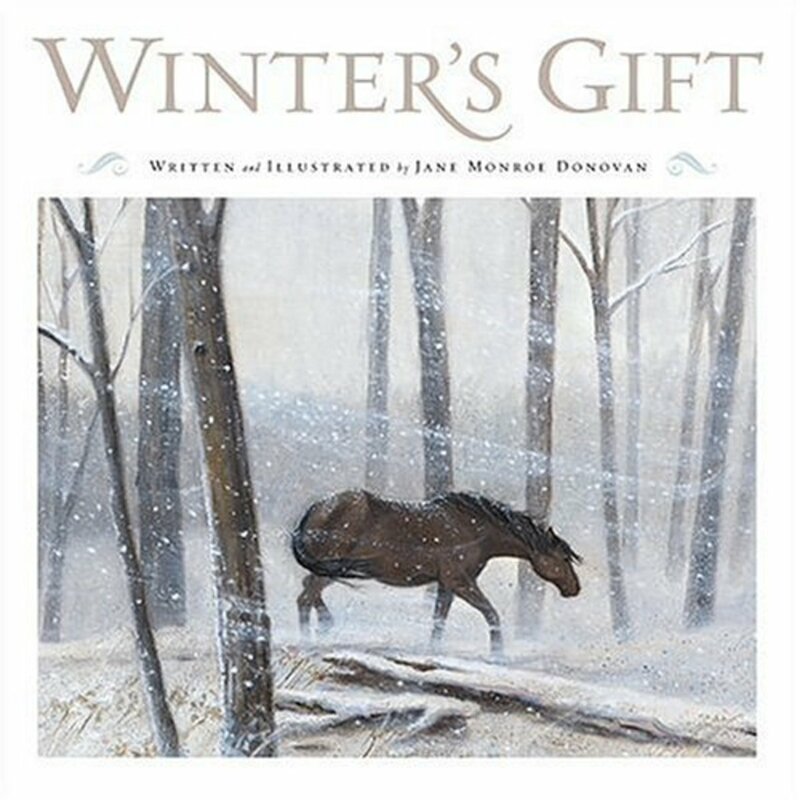 Another late addition to my selections is Winter's Gift by Jane Monroe Donovan. This story about a widowed man who rescues a mare and her newborn foal is a unique addition to Christmas stories about animals. This story is told in a very straightforward manner, but the message is simple and clear. Christmas offers hope to everyone. Donovan's beautiful illustrations and straightforward story make this a nice book to share even with preschoolers, and if you have a horse-lover in the family, you will want to include this as a gift. It really is lovely. What Could Be Keeping Santa? By Marilyn Janovich shows Santa’s reindeer worried because Santa is nowhere to be found on Christmas Eve. But wouldn’t you know it, even reindeer can make mistakes, because they got their days mixed up, and it is actually December 23, not December 24! This book has simple rhyming text, but it is the illustrations of the perplexed and annoyed reindeer that make the book truly hilarious. 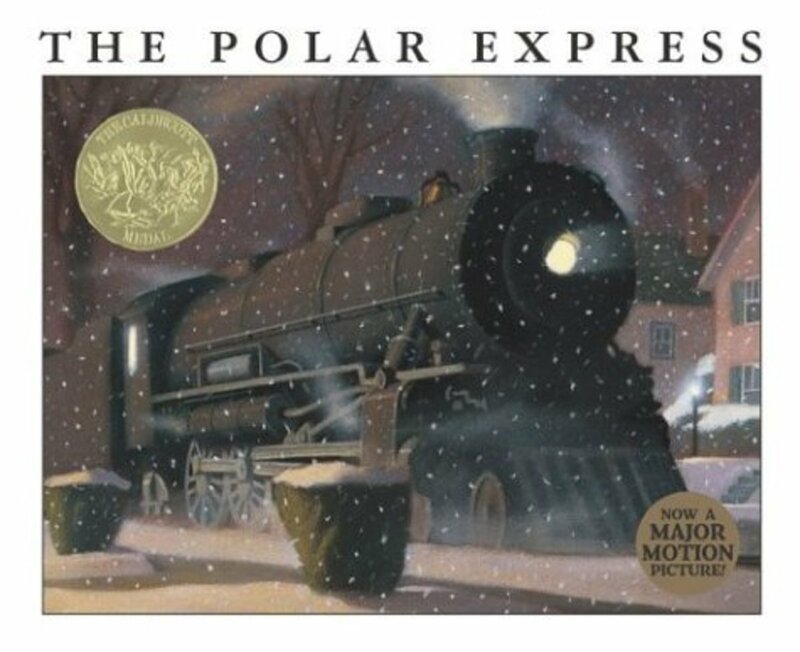 The Polar Express by Chris Van Allsburg. This book is pure fantasy, and due to the popularity of the movie by the same name, you probably have heard of it, and may possibly already own a copy. A young boy enjoys a spectacular ride on a Christmas train called the Polar Express, all the way to Santa’s village. This book will hold a special appeal to any train-loving boy or girl. 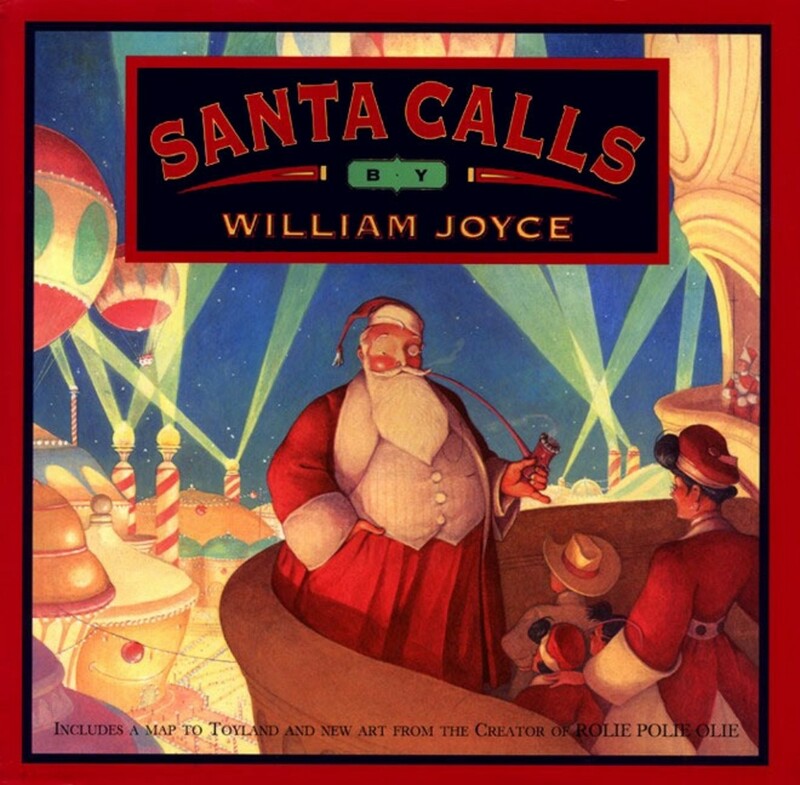 Santa Calls by William Joyce. A young girl’s Christmas wish to Santa is the heart-tugging message behind a story about two young siblings, Art and Esther who become better friends during their adventure to the North Pole. Art and his best friend Spaulding receive an unusual invitation from Santa to come and visit. Esther tags along, and their adventure in the North Pole make this book by the author of George Shrinks a must-read. I originally purchased this book for its references to Abilene, Texas, where I once lived, but the story has much more to offer its readers. Stories of Santa Up On the Housetop by is a tribute to Santa Claus set to the lyrics of the popular song by the same name. This book is a gift book produced by Hallmark. † Room for a Little One is a beautifully-illustrated concept book about the nativity. This book contains little text and is appropriate for even young toddlers. The luminous illustrations steal the show in this story about the animals in the stable where the Christ-child is born. All of the animals who are known rivals set aside their natures and rest together in peace as they await the Little One, who is of course, the baby Jesus. 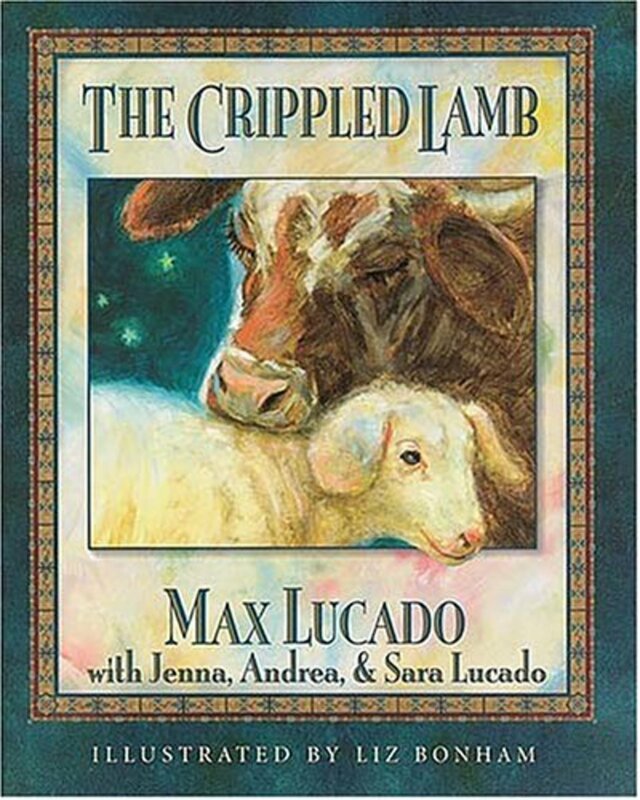 †The Crippled Lamb by Max Lucado is an unusual story by the wildly popular Christian book author and pastor. 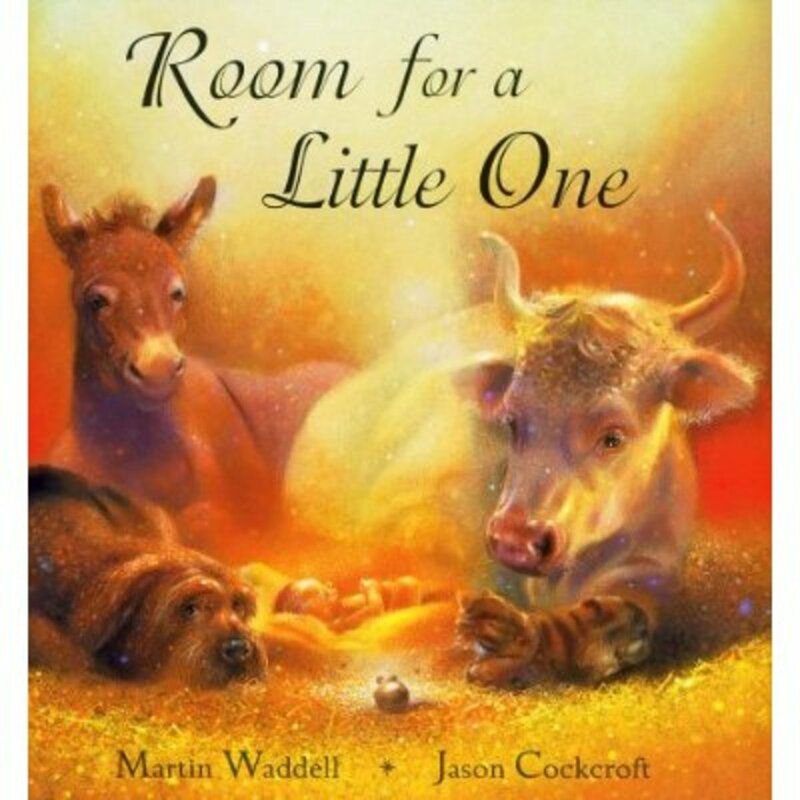 Told in a simple and straightforward style, this story is about Joshua, a little lamb with a birth defect who is sad because he cannot go with the other sheep into the far pasture, and instead must stay in the stable with his friend, an understanding cow. But Joshua doesn't realize that he has a much greater purpose to serve, and is near at hand to witness the birth of the Savior and to offer warmth to the newborn baby when all of the other animals have gone into the fields with the shepherds. This unusual story has a strong message about trusting in God's purpose for us, even when we don't see the big picture in our own lives. I have written a full-length review of this story, which you can read by clicking on the title of this story. 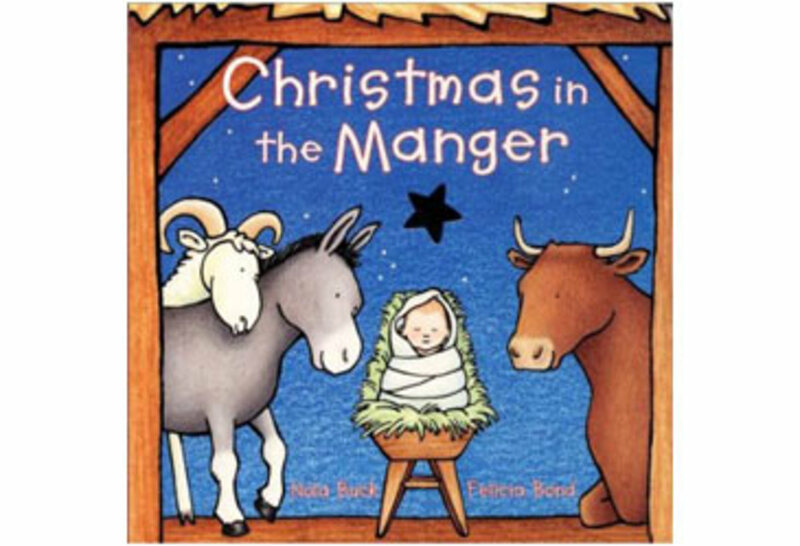 Christmas in the Manger by Nola Buck,, illustrated by Felicia Bond. The illustrator of this toddler-friendly rhyming nativity tale that comes in a board book format also illustrated the If You Give a Mouse...series. This book is written in rhyming couplets. Thank you very much. Trinsick, I hope you find some books you will enjoy for your son! Moons, thank you. Happyboomernurse, what a kind thing to say! I do so enjoy children's books! I hope you will find some of these books to read and enjoy this Christmas. Cheers! What a beautiful, comprehensive, well organized hub about Christmas books that make great family traditions. Thanks so much for sharing this hub. We are stocking up on Christmas pictures books this year for our boy. I'm glad this brought back good memories. I agree Lexe, reading during childhood is magical! Thanks for the hub! This reminds me so much of how I used to love reading when I was a child. Everything on the pages seemed so vivid and alive. I still love reading today, but there was different sort of magic to it back then. 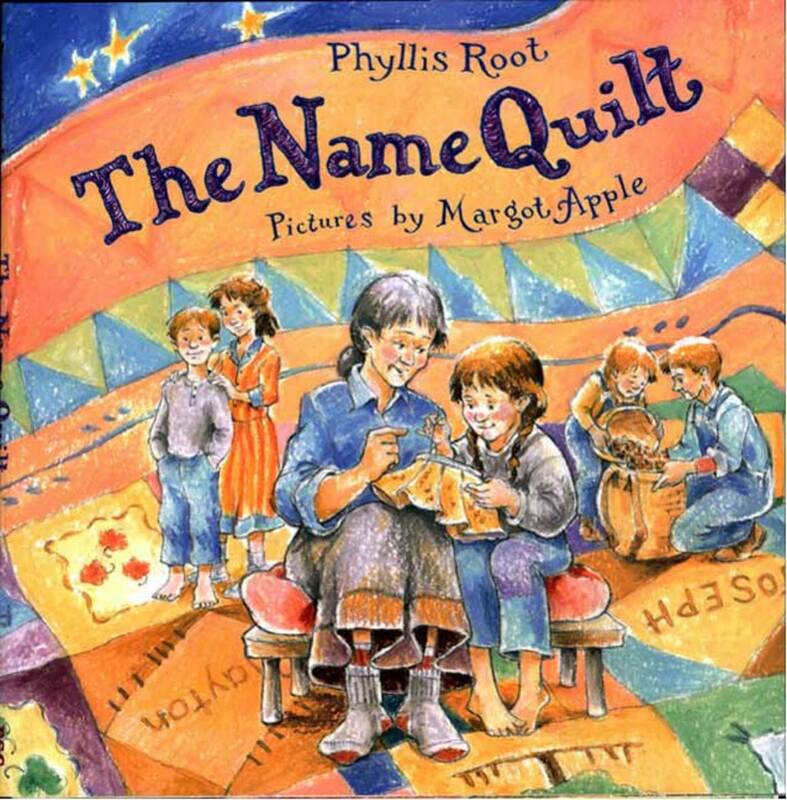 Awww, brings back great memories for me, reading aloud to my kids. Now my grandkids. I love your selections. Great hub. Thanks Emma, I agree with you about books being great gifts. They are easy to ship and have a timeless quality. Plus books store rather easily on a bookshelf, even in tight spaces. DVDs have some of the same advantages. Regards! This is a nice list of books. A lot to choose from as book is the one of the best Christmas presents. Thanks Dallas, about 90% of the titles are books I already own, and I was very happy to share the titles with everyone. Thanks for your comment! I hope you get some you enjoy. I noticed that several of them are extremely affordable. Thanks for the research. It will assist in my selection of great books! Thanks everyone for your comments. I plan to add the Amazon capsules Ingenira! So come back in a day or so, as it takes a bit of research to look up the ISBNs! Lorlie, I think you have the advantage of time on your hands. At 4 months your grandbaby is a sponge. You could read poetry you enjoy to him, or play some fun music. I recommend Hap Palmer: he's a children's artist with a good selection of songs. When he gets older you will probably want to read books for toddlers, such as Goodnight Moon and the Sandra Boynton books. But for now, the sky is the limit, because you have a captive audience. Awesome list. Wish there is amazon adv to show the price, then I'd know the budget to buy. Great list. I remember some of these from my childhood. We need to get more for our own kids. wannabe-you have chosen some amazing titles, here. What I particularly notice is your personal collection! I am most impressed that you have such dear words at your fingertips. My question here is what do you read a 4 month old baby? I have a brand new grandson-my first grandbaby-and I want him to enjoy the lure and beauty of words. Early, I know, but I don't think it's ever too early, myself! Awesome list of childrens books. Thanx for sharing.